Holsten Galleries was established in June 10, 1978 in Stockbridge, Massachusetts. It operated continuously at that location until October 2, 2009, at which time the “brick and mortar” business was sold and I became a private art dealer with the first world class online contemporary glass art gallery. In the late 1970’s Holsten Galleries showed some sculptural glass but also vases and paperweights. There were also ceramics, art jewelry and weavings in those early days. In 1980 we opened a second gallery in Palm Beach, Florida. The idea was to focus on the Florida gallery during the winter and Stockbridge in the summer. The Palm Beach gallery really took off and in 1981 we had our first major exhibition of glass sculpture: a one-person show of the beautiful blown glass sculpture of Harvey K. Littleton. 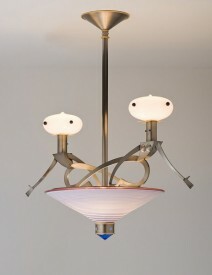 Littleton is considered the father of the studio glass movement and this first major show was a huge success. Having had a successful Littleton exhibition opened the door to inviting other major glass artists to exhibit in Palm Beach. One of Littleton’s first graduate students when he taught at the University of Wisconsin-Madison in the 1960’s was Dale Chihuly. In 1982 Holsten Galleries-Palm Beach had a major one-person exhibition of Chihuly’s Seaform and Macchia series. I remember the first time I met Chihuly in person at the opening of that exhibition. Something inside me knew that we would be working together for many years. Of course I had no idea that nearly thirty years later I would still be showing Chihuly’s work nor could I imagine the impact Chihuly would have on the world of glass. Throughout the 1980’s Holsten Galleries continued to operate in both Palm Beach and Stockbridge. There were one-person shows of William Morris, Marvin Lipofsky, Tom Patti, Mark Peiser, Joel Philip Myers, Paul Stankard and many other contemporary glass artists. In the early 1980’s we continued to show such ceramic artists as Don Reitz, Paul Soldner, Bennett Bean and Harvey Sadow but gradually we decided it was best to specialize in glass. 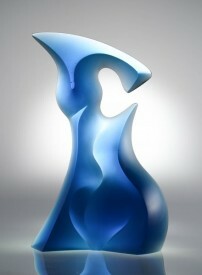 In the mid 1980’s we began to show an Italian glass artist by the name of Lino Tagliapietra. Once again, little did I imagine the huge influence Lino would have on the burgeoning American glass movement nor that I would still be showing Lino 25 years later! In 1997 Holsten Galleries participated for the first time in SOFA-Chicago. SOFA is an acronym for Sculptural Objects/Function Art. At our first SOFA show we presented a large one-person Chihuly show. The exhibition included a Chandelier, Wall Sconcesand a Persian Wall installation as well as a selection of wonderful pieces from the Seaform, Macchia and Persian series. Dale Chihuly gave a slide lecture to a standing room only audience and the show went very well. Since that first SOFA show, Holsten Galleries has participated in dozens of exhibitions in Chicago, New York, Palm Beach, Los Angeles, Scottsdale and, most recently, Santa Fe. Now that I no longer have a physical gallery I am less involved in doing the big shows. I do participate in the newest SOFA venture, SOFA-West in Santa Fe, and have had one-person Lino Tagliapietra glass shows for the past two years. 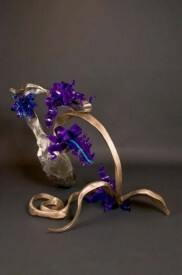 I plan to show Lino again at SOFA-West in Santa Fe August 3-7, 2011. Operating as a virtual online gallery has been very enjoyable for me. I no longer have the responsibilities associated with owning a physical gallery. I have more time to work closely with individual clients in building their collections. I also enjoy what I think of as the detective work in tracking down a certain series or artist for collectors who have very specific pieces in mind.